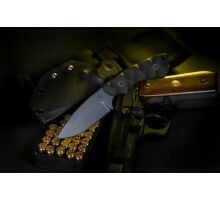 I have been the owner of a PEC for about three months now and it has been the best knife I have ever owned. 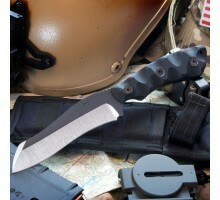 I bought it before my first deployment and I keep it on my hip everyday. The Draco is Latin for Dragon Claw, or Talon. 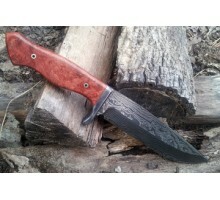 This Full tang knife is a full 11" long with a 5.5" recuve blade. 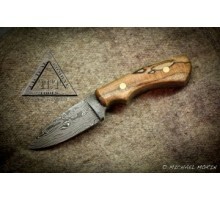 It's special modified Warn Cliff front is sharpened and ready for action on either end. 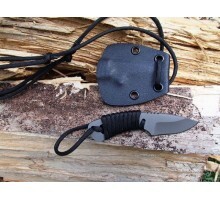 Sheath: Lined Nylon MOLLE sheath (Black, Coyote Tan) or Kydex w/IWB loop. 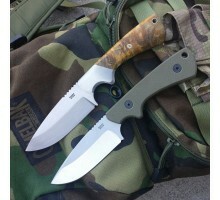 Here is my popular tactical Lite Fighter done in a 100 layer Damascus. 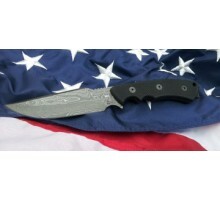 Overall length is 10.3" and is finished with black textured G-10. * These are made to order and lead time is approximately one month. 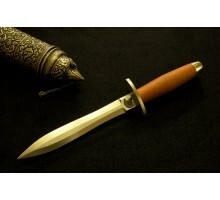 This is a Damascus version on my most popular model PEC. I usually finish these with a variety of maples to include Spalded, Curly, or Birdseye. * I make these to order and lead time is approximately one month.